One of the main reasons why consumers elect to purchase pickup trucks of all types is for their unique storage options. This is especially true of those individuals that enjoy traveling long distances or that work in a trade that requires the transportation of multiple elements such as tools and accessories. The good news is that in recent years more and more manufacturers of pickup trucks have gone out of their way to devise unique methods of storage. These methods have grown so clever that it is now possible for consumers to quietly and effectively store elements and products of all shapes and sizes with ease. Any person that is considering the purchase of a new pickup truck should go out of their way to fully survey the storage options that come by default with the truck bed they may purchase. The more time and effort that a person puts into this process the more likely they are to acquire the storage space they need with limited effort. Most typically, truck owners will acquire trunks that can be locked and placed at the top of their truck bed. These trunks are generally sized and colored in a manner that matches up with the general look of the truck. This is great news for those individuals that want to be certain that their truck still looks attractive while at the same time providing the storage space and resources they require. For those individuals that already own a pickup truck, they can acquire these items for their truck even now. Most auto supply stores have these types of storage products on hand or can easily order them for those consumers that are seeking them out. Many new pickup trucks also have lining that surrounds the inside of the truck bed that can be opened and used to store various items of various sizes. These types of truck liners are very effective when it comes to storage. The additional good news is that these elements are easy to obtain and to install. That is one of the main reasons why more and more consumers are electing to add these types of storage units to their pickup trucks. 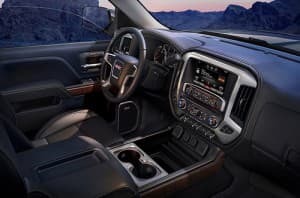 If you truly require additional storage space in your truck you should seriously consider adding one or more of the storage options detailed above to your new or preexisting pickup truck.